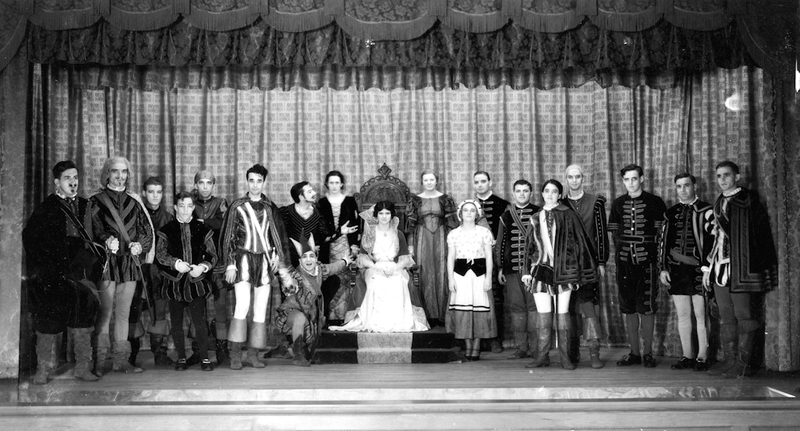 Cast photo from Twelfth Night. Janesville Little Theatre has only had the ambition to tackle Shakespeare once during its long history. 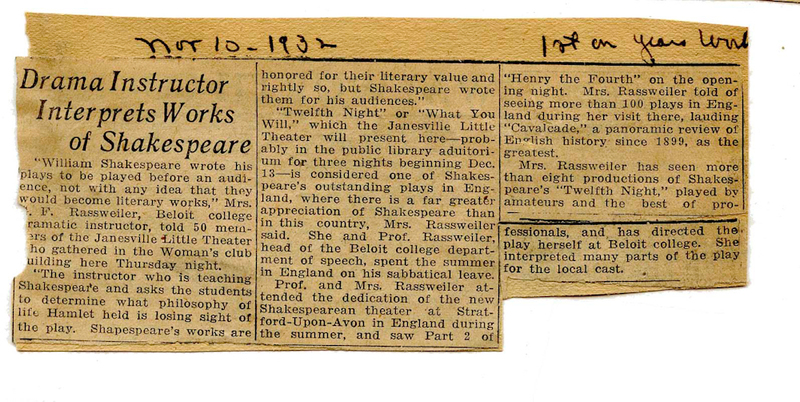 Twelfth Night was chosen to celebrate Janesville Little Theatre's first performance in the Library Auditorium that would be their home for the next 50 years. In an effort to put on the best production possible, the theater group brought in help from a dramatic professor from Beloit College. The play received high praise from prominent critics of the day. Janesville Gazette. Tuesday, October 4, 1932.